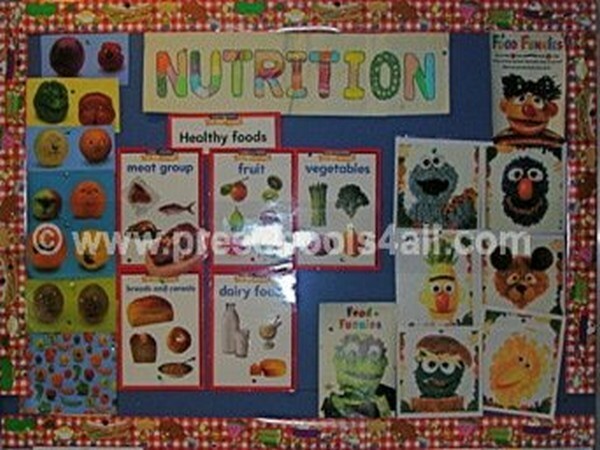 Preschool bulletin boards play an important role for every classroom. They showcase the children's works, set the learning theme and liven up the classroom atmosphere. The work is displayed with respect and it is colorful. At least one bulletin board in your class should display children's original artwork on it. It gives the children a feeling of appreciation and self worth when their work is displayed. 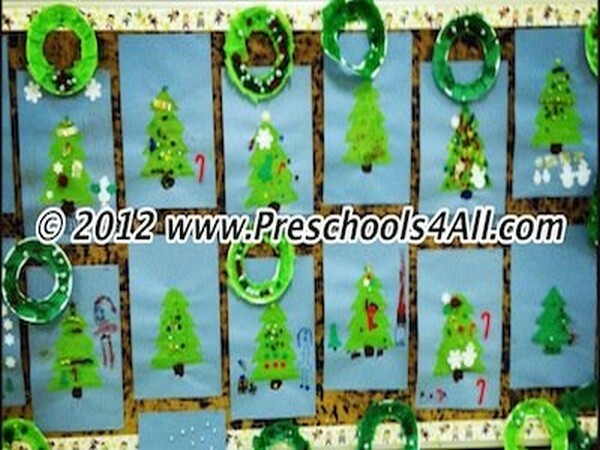 It seems unnatural to me when a preschool classroom has only pictures and posters that were made by the teacher or purchased. Keep your board up to date. Do not have a fall scene if it is already the middle of January and we are in the midst of winter. I like to be able to remove parts of my bulletin boards and use them during circle time or to refer to it during circle time. I find it becomes more meaningful for the children especially the spatial learners. After all the bulletin boards are meant for the children not the adults in the room. In particular place the calendar, the daily schedule and the job board at their eye level. 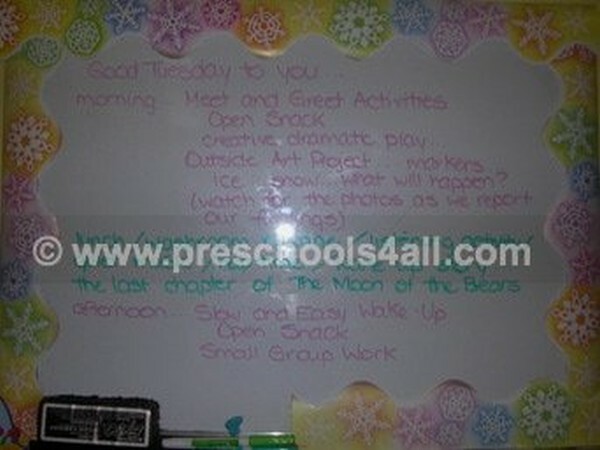 Place a white board with erasable markers next to the classroom. Use it to communicate to parents your activities throughout the day. I've been going around snapping pictures of bulletin boards around my school and my son's school.